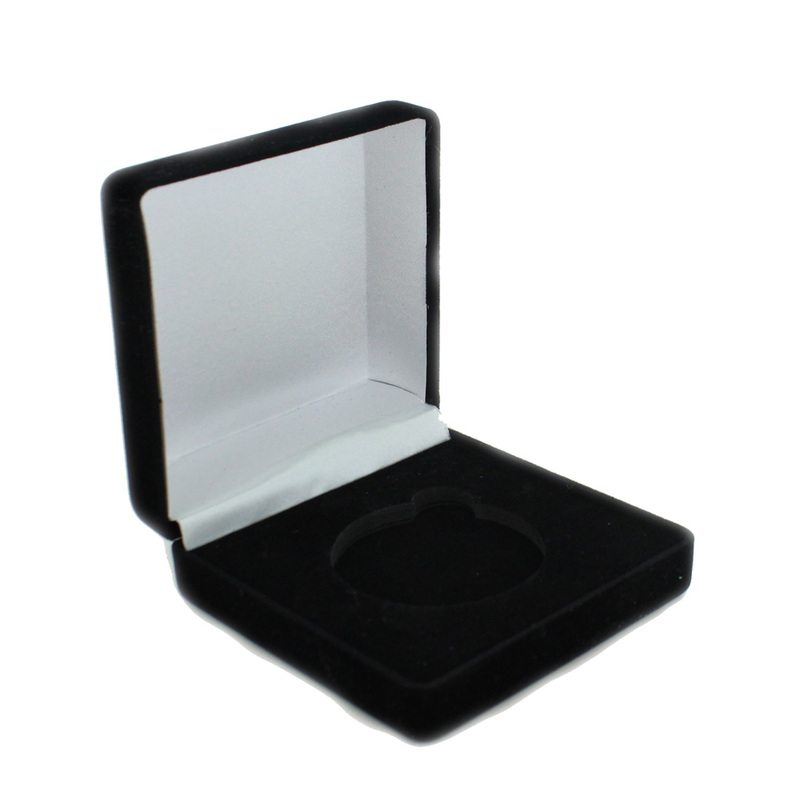 Item Description: Black velour medal deluxe presentation box. 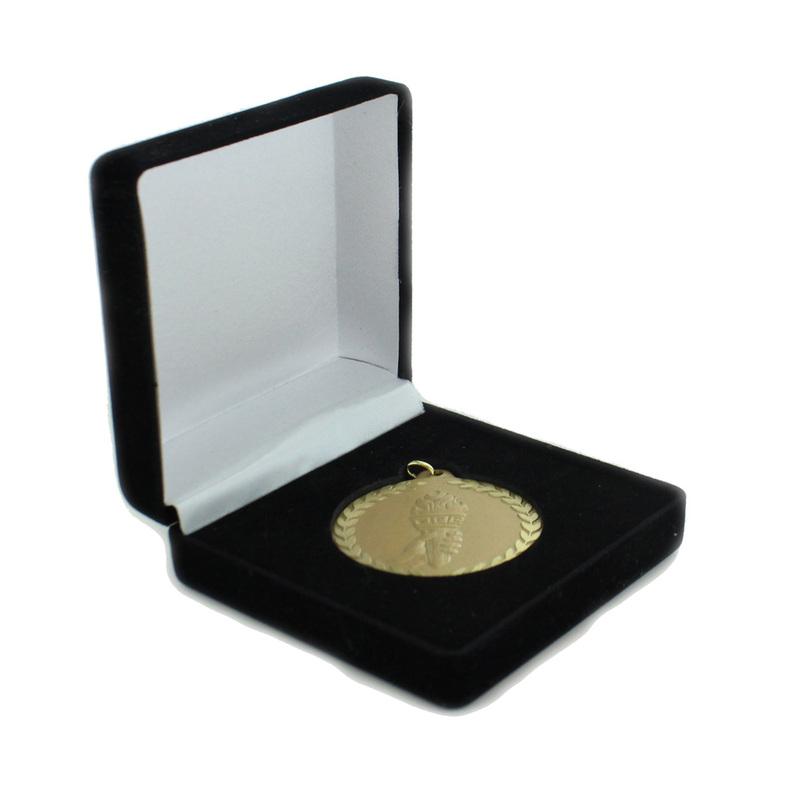 Holds 2 inch medal. 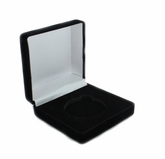 Size is 3-1/2 x 3-1/2 x 1-1/2 inch. Medal shown in the picture is not included. Box only.